beautiful colors and oh so soft. 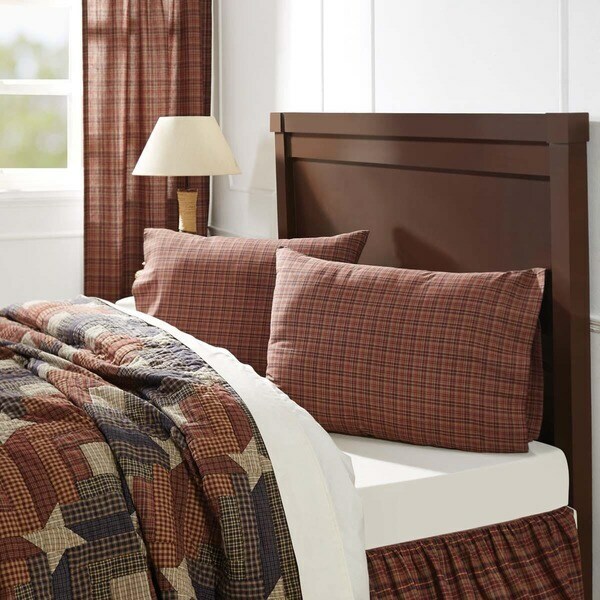 Add cabin charm and rustic flavor to your bedroom decor with the Parker Pillowcases. Featuring an all over plaid with shades of warm burgundy, natural, and deep navy in 100-percent cotton fabric. Returned because I purchased to go with the quilt that I returned. I loved the set but since the quilt wasn’t right, I couldn’t keep the matching accessories. This would have made such a beautiful set!